Navigating complicated health care needs in two separate health care systems is difficult. That’s why CareSource designed MyCare, because our combined plan simplifies managing your care. With CareSource MyCare Ohio (Medicare-Medicaid Plan) you can streamline your health care day-to-day planning. Picture only having one point-of-contact, so you can cut down on paperwork and phone calls. Choose CareSource for both Medicare and Medicaid for ease-of-use, but also because of the benefits, like no copays or premiums, transportation services, a 24-hour medical advice line, and a team approach to managing your care that puts you at the center. CareSource® MyCare Ohio (Medicare-Medicaid Plan) encourages choice and self-help. It gives support so members can stay independent. The approach is person-centered care and coordination of health care with other needs. 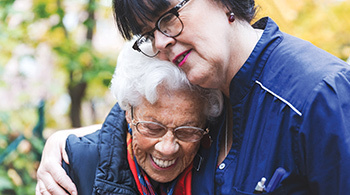 A Care Manager is an advocate who works through the health care system to coordinate your needs. A Care Manager meets with you face-to-face and works with your providers, including mental health and community services. CareSource and local community agencies team up to help you. 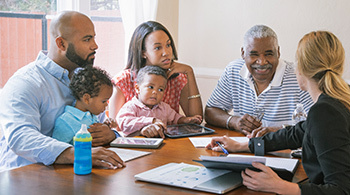 Area agencies connect you to non-traditional providers, such as contractors that perform services, to help coordinate care and other needs. Have questions about transportation or our 24-hour nurse advice line? It Just Adds Up! When you choose Medicare and Medicaid, you get CareSource MyCare Ohio. 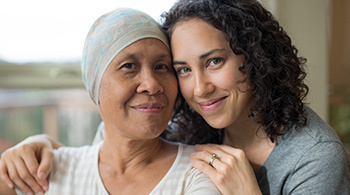 This combination delivers extra benefits needed by both patients and caregivers, giving patients more coverage and caregivers more options. • for BOTH Medicare and Medicaid. With this option, you enjoy the FULL benefit of combined care. Choose CareSource MyCare Ohio for BOTH Medicare and Medicaid and you have no copays or premiums. If you have Medicare coverage through some other plan, you may have copays or premiums. Call the Ohio Medicaid Consumer Hotline at 1-800-324-8680 (TTY 1-800-292-3572), or visit www.ohiomh.com and select MyCare Ohio. If you receive BOTH Medicare and Medicaid benefits through your MyCare Ohio plan…Then you may switch to CareSource MyCare Ohio if you have been on your current plan at least one month. If you receive ONLY Medicaid benefits through your MyCare Ohio plan…Then you may switch to CareSource MyCare Ohio during the first three months of your membership, or during the annual open enrollment month for your area.